Hi Odette, Ive been meaning to talk to you for sometime now. When I was younger my mother took me to ballet classes for about a month. But i couldnt continue because i moved to another part of London. I stopped thinking about ballet because i was extremely upset how i couldnt continue. I started to think about it again when i was eight. I didnt get upset again. I was desperate to start it again. Everytime i bring up ballet to my mum she always thinks im being silly and how ballet and dance cant get me into heaven. Im televe now andnstill have not started ballet. Everyday i think about that i even started going behind my mums back and downloading ballet videos to help me learn. Warm up and everything. I try my best ive even made a schedule and everything but it feels wrong and weird how im not in a dance studio. 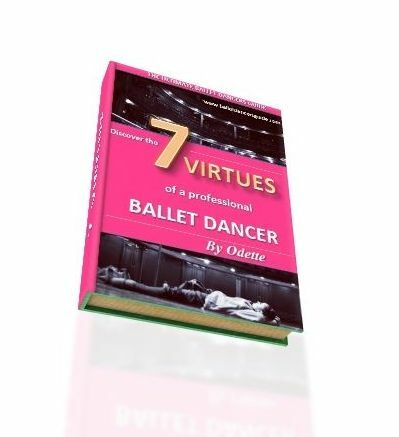 I go on ebay everyday to look for ballet dancewear and everything i will ever need. But for some reason it dosent feel right . Any tips odette? Thank you for your message it's great to hear from you. It sounds like you have a real, genuine interest in ballet and it can feel disheartening not to pursue it. Is there any chance you can talk to your mum about taking classes again? As a hobby, it can be really fulfilling. If you research dance schools in your area and chat to your mum, perhaps there could be a chance for you to start again. It's always best to be honest and especially for dancers it's your family who can help pursue your passion. It's hard for you to be in charge of taking classes by yourself, it's very responsible of you, but you are really best off joining proper dance classes to get the most out of it. It's great to research and keep inspired by ballet though. Try explaining to your mum how you feel and see if you can come to a decision together. Keep in touch!